First things first, to the uninitiated, what is the core ideology behind Camp Diaries? Who are the members who drive the force forward, and what is the story of starting this not for profit organisation? I being a TFI fellow never felt like I was giving my kids enough of everything. When I kept Math, Science, English, Sign Language, etc on priority, extracurriculars always took a toll. So, when I got a Dussera break I recalled the promises I had made to 110 kids of my own about teaching them various activities. I realized that I would need support and hence I messaged on all TFI and MAD Hyderabad groups for anyone who’d like to do a camp and teach what they’re passionate about. 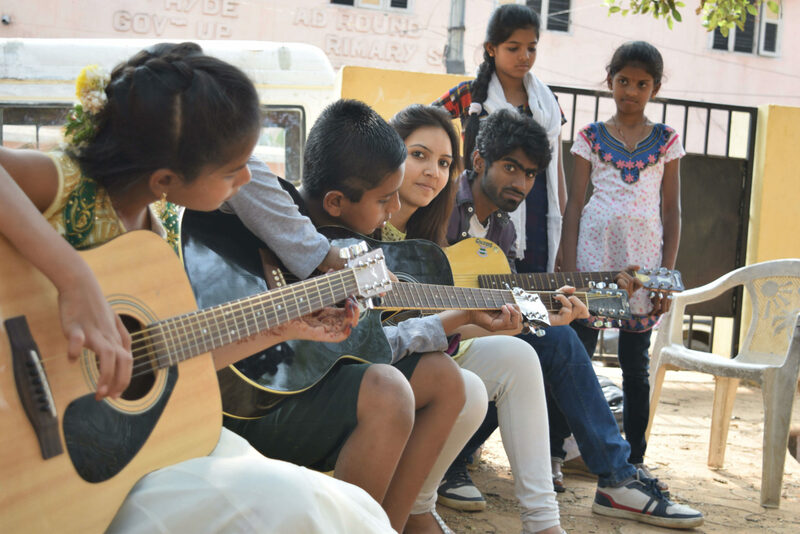 It was due to the first 4-5 volunteers [Ailia(Arts), Praveen (Beatboxing and Dance), Swetha(Dance) and Vivek(Classical Singing)] that I found hope. When I got the next break(Diwali), I decided to try it again and invited all TFI schools in Hyderabad. The principal and fellows of GPS Mekhalmandi brought close to 50 kids to our school in a bus in an effort to give their kids an opportunity to learn. With 12-14 volunteers this time we had a great camp with a lot of learning and that’s when I realized that I should provide this opportunity to all the kids from Government or Low income private schools by going to them and not bringing them to us. So, I included almost everyone who was a part of the first two camps and created a structure and started planning for covering more kids in Hyderabad. 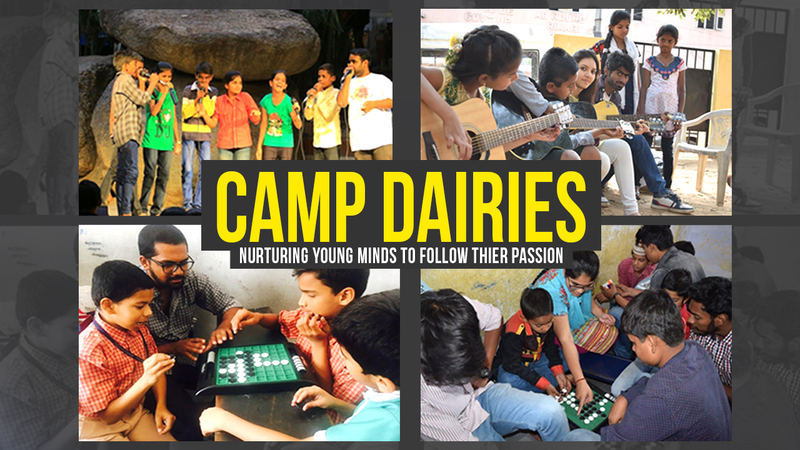 Camp Diaries is a platform that identifies and nurtures hidden talents and interests of children and makes them proficient enough (independent learners) to pursue these passions on their own. We believe that each child deserves to write their own story and follow their passion and a wholesome education is required to open up different dimensions of their creativity. 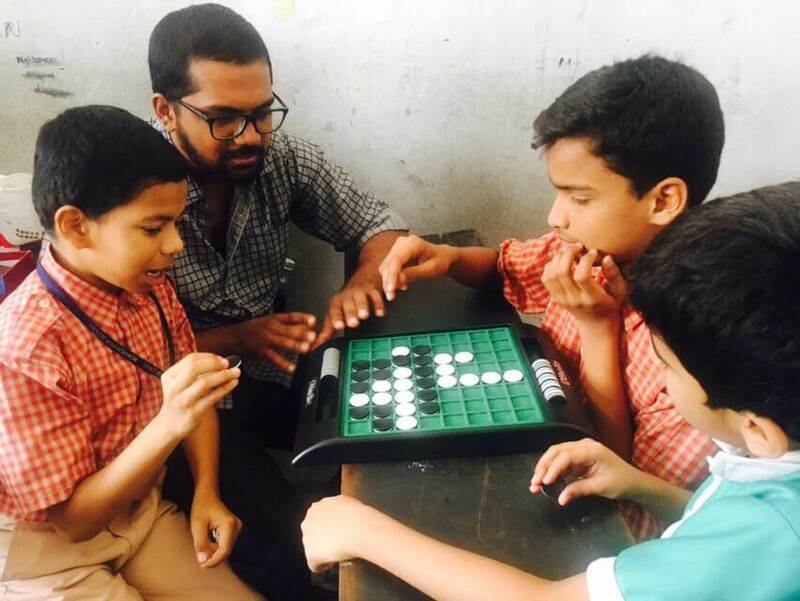 We teach 10 different activities (Dance, Drama, Singing, Beat Boxing, Instruments [Guitar, Piano], Photography, Science Experiments/Illusions, Art & Craft, Basics of Computers & Coding, Games [Rubik’s cube, Chess, etc] and Self-Defence) in 3-weekend camps of increasing levels. Level 1: Building the child’s interests – where each child is first exposed to all 10 activities on day 1 and then made to choose 3 of his interest on day 2. Level 2: Fostering the built interest – where we try to make each child confident and more knowledgeable in the activities chosen by them. Level 3: Making them independent learners in the activities chosen by them. The organisation is completely volunteer led and is gradually moving towards each city being independent of each other and of me. We have about 800 applicants in 3 cities so far of which about 350 are inducted, volunteers. There are close to 20 volunteers in each city who lead everything by their choice. Bangalore – Gurdutt (TFI fellow), Manish Shetty (TFI fellow), Gaurav Manhas (IT Employee), Garima (Working professional), Sujeet (IT Employee), Ranjana (IT Employee), Chennai – Ashwin Murugan (TFI Fellow). When we look at the work you take up, Camp Diaries provides vocational training and coaching across multiple disciplines for enthusiastic children. How do you usually go about it, in terms of finding participants, trainers, and arranging for tools and resources and so on? All we need is an invitation or permission from a school to go do a camp. For now, we’re restricting ourselves to schools that TFI is in, so TFI fellows make that part easy for us. We take a maximum of 200 kids for a camp so that we can maintain the quality of learning. People who fill the application form to volunteer with us are interviewed and inducted/sensitised before they can attend a camp. The resources are bought from wholesale shops and are kept ready way before the camps. Some resources are directly donated by people. We also provide a healthy lunch for our volunteers to make their teaching easier. As we look at the preferred participants for Camp Diaries, it is imperative that most of the activities taken up by this NGO are driven towards Children belonging to Govt schools and organisations. We are curious as to why this particular choice. Would you perhaps expand your education to children who haven’t been to schools at all or if they belong to private schools and such? We don’t necessarily restrict ourselves to just Government or low-income private schools, we shall also take up orphanages and shelter homes soon. But private schools only come into picture when we have a severe need for funds. Mostly because, even if we try for the next 5 years, we may not be able to cater to all the underprivileged kids which mean every time we do a private school camp, we could’ve helped more kids from the weaker section of our society. We were highly impressed when we learned that Camp Diaries has adopted a cancer hospital within the city, and is conducting sessions with around 50 students every Sunday. Could you comment as to how this happened, and what are the difficulties that you face when you teach children who are undergoing treatment for terminal illness? A member of Aasya Foundation approached me to ask if we could engage the kids at MNJ CancerHospital one Saturday. I obviously said, “Hell yes!” and ever since we almost never missed a Saturday. Frankly, there are absolutely no issues we face with these kids. We went in thinking that they may not be able to dance or do a lot of physical activity so we will just keep them occupied using other things but boy were we wrong. The zeal that these kids have to learn something, to share love is unmatched. It’s a wonderful experience for all our volunteers as well because watching these kids makes us all realize that we don’t really have any big problems. Moving away from the functions of Camp Diaries, we are curious to know, as to how an IT professional went onto to start an NGO. What would you say is the inspiration behind such drive. And also, who were the core members to start off the organisation with. Looking back, at which point do you think your organisation truly started making a difference? One of the values I (Milind Chandwani) imbibed from my parents is that all human beings are equal and we should help and empathize with underprivileged. Journey from teaching in various orphanages to conducting events for 800 special children and to being a MAD (Make a difference) mentor has been enlightening. Working with underprivileged children most of the time, I saw their huge latent potential which can be harnessed with the right guidance. With this endeavour, I joined TFI while deciding not to continue with my IT job or take up the seats in various IIMs and other good B schools in India even after converting the calls. I understood that integrated development of children is important and that the skills at the confluence of performing arts, sports and education can build their self-confidence, leadership aptitude and give them an alternate career option. I started teaching my kids performing arts and eventually had many inspired people joining me in the cause. That’s when I thought of making this a reality for most children around us who do not get a chance to learn these skills. So even though the idea was mine, it was inspired by the success shown by my kids and the inspiration given by the other volunteers/leads that were there with us through thick and thin. The inspiration behind this drive is the smile on a kid’s face when he/she trusts you with everything! It’s the fact that I’m joining/creating a movement of leaders who deeply care about the world. Every moment in the classroom is an inspiration because our children keep trying harder and harder. After the very first camp when my kids started picking up all the activities taught to them and made efforts to go a level higher, I knew that this organization was making a difference. However, many principals and fellows have shared amazing success stories/testimonials of the camps with us and that makes us believe that this idea/organization is making a huge difference in lives of these kids and their families. Back to Camp Diaries, when we look at many NGO’s across the city, they seem to face a lot of judiciary issues and financial limitations. In this context, what are the biggest hurdles that the NGO faced till this point, and how did you go about resolving it? Of your regular sessions, when you see your journey thus far, could you share with us a few interesting stories which make you stand proud of the work you do and the lives you effect? Asfiya – A scared and timid girl is now confident and fearless. Camp Diaries is an initiative that helps the underprivileged children in government schools to discover their hidden talents and passion. 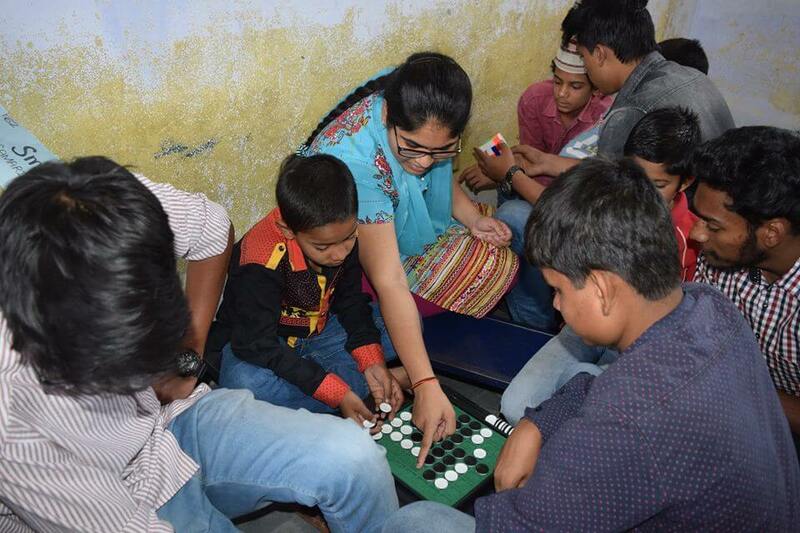 It not only helps them to explore their interests but also empowers them to be responsible individuals in their lives. While the entire country is torn on the issue of women’s safety, the young girls who were involved in the Hyderabad edition of Camp Diaries are more confident about taking care of themselves than ever before. One among these kids is a 13-year-old girl named Asfiya, an erstwhile shy girl, hailing from a lower middle-class Muslim family. Before she attended the camps, she felt rather insecure about herself, and used to be scared of guys who taunted her and her friends. However, once she started attending Camp Diaries, she not only learned art, dance and music, but with her interest to transform herself, she also took the lessons in self-defence. Today, she knows a good number of the self-defence techniques and has grown into a bold young girl, willing to face the world with her newfound confidence. 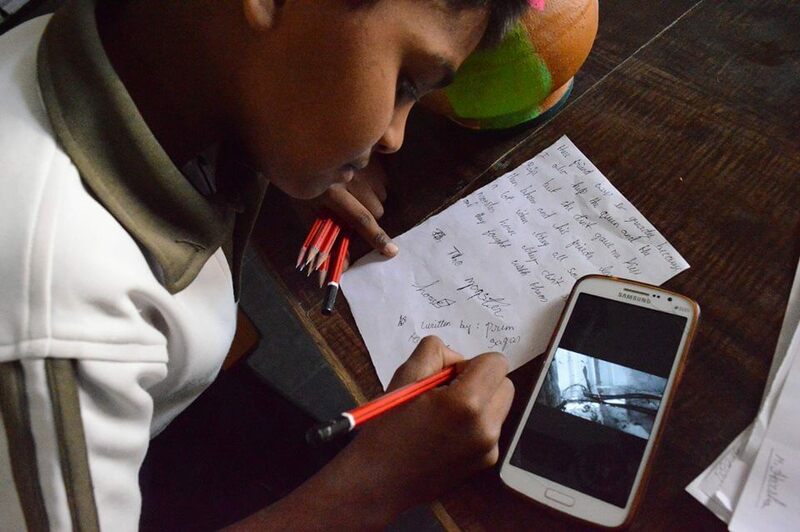 With Camp Diaries, many children of the higher order, like Imran and Saraswathi have not only found their passions but also developed qualities of leadership, among other things, while those children like Asfiya have learnt to stand for herself and her peers. Many of the lower order kids have now begun to show interest in various activities that happen in the classroom and are working hard to soon become leaders. ‘If the kids can’t be taken to camps that Government is conducting, we’ll bring the camps to the kids!”, that’s where it all started. 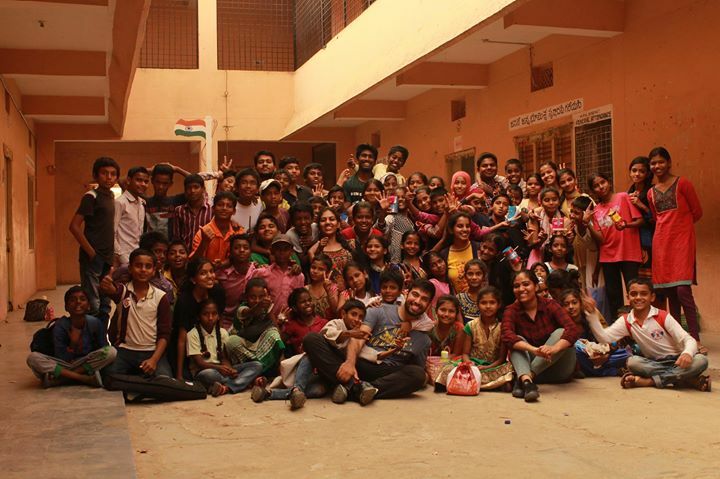 Camp diaries was conceived; invitations were sent to the contacts of the Teach for India (TFI) fellows and Make a Difference (MAD) volunteers in Hyderabad for volunteering, responses were received, and before one could notice it, the camps grew in numbers as the word spread. Camp Diaries got more enrolment, not just in terms of volunteers, but also with schools, and with it, more kids. While the journey of every child is unique, it is the story of Khaja which readily comes to the minds of most of the volunteers at Camp Diaries. Khaja, a less-than-ordinary 7th grader, fresh out of a traditional Urdu-medium Madrasa, enrolled in an English-medium (TFI) school. In his head, he was a misfit. We have all been there at one time or the other in varying degrees, haven’t we? He had trouble adjusting to a new environment, coping with what was for him, a huge cultural shock. 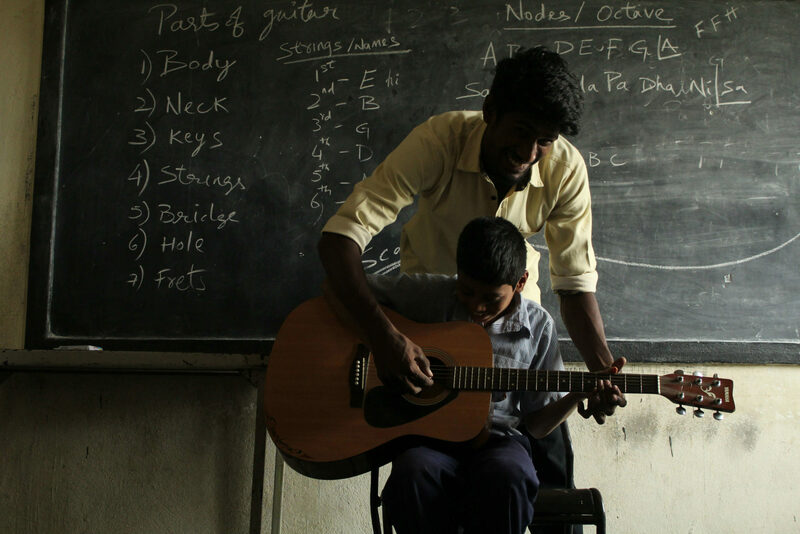 A timid child who was exposed only to generic ways of teaching, Khaja had a lot of difficulty following the class and performing on par with everyone else due to his lack of understanding of the language used for teaching (English). Needless to say, he was reserved, aloof and lost. His daily routine would be tough on many kids of his age, but for him it was his mundane existence. Waking up at 5 a.m. to fetch water so that the elders in his family can start with their daily chores, he also helps his grandmother in cooking the first meal of the day so that both his parents can leave for work by 6 a.m. to make ends meet and Khaja himself can attend the extra classes before school begins. 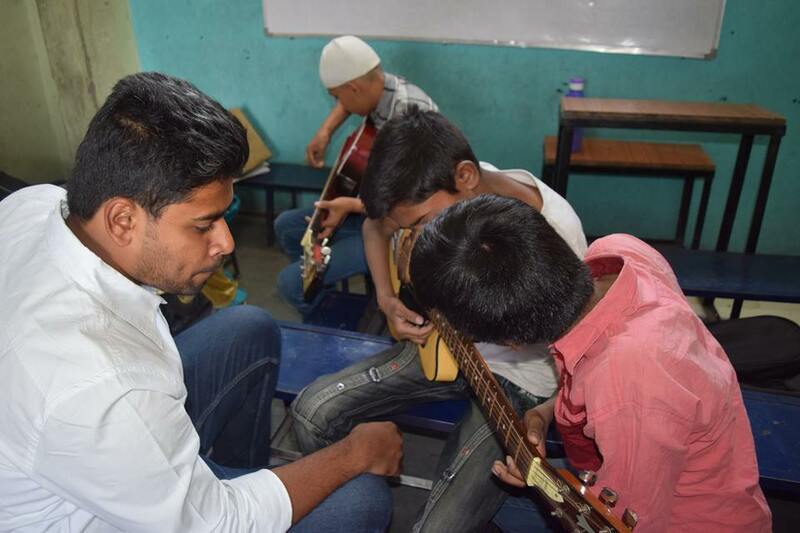 While attending the camps, Khaja was encouraged by his peers and teachers to participate more in various activities. Soon, Khaja discovered his love for arts and crafts, as well as dance. 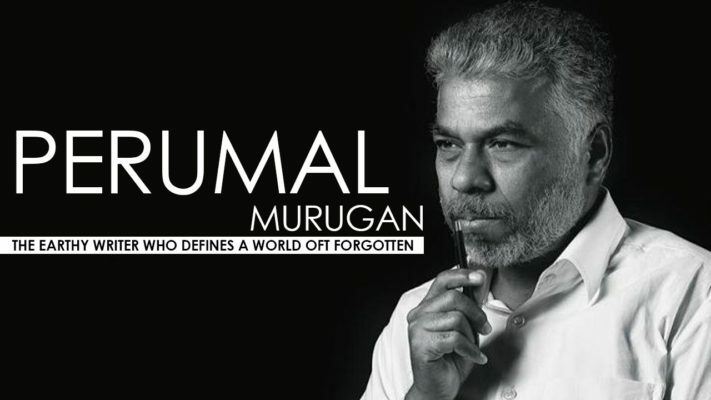 His moves were so good that he went on to perform at various occasions thereafter such as the ‘Mid-Year Summit’ at TFI. However, he didn’t stop exploring his talents there. 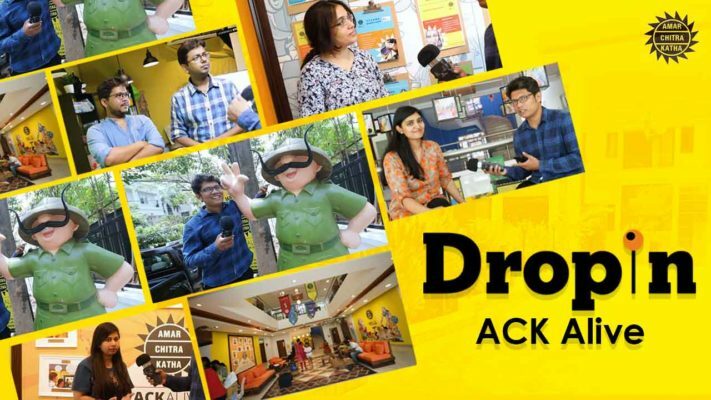 In the auditions for a drama by the class to promote women empowerment, Khaja aced in the role of a highly conservative father, and the team won the second prize in ‘Draamebaaz’. Within a few months into the new school, Khaja was making tremendous improvement not only in his academic pursuits but in other activities as well. Today, after attending the camps and employing all that he has learnt thus far, Khaja is not only accelerating towards his dream of becoming a doctor but also leading the other kids in the class to reach theirs. It’s a flurry of activities when you walk into some of the government schools in Hyderabad whenever there is an event of ‘Camp Diaries’. The sight that welcomes you would be of kids practising dance, singing songs they had only ever heard on the radio or TV, or even engrossed in a crazy science experiment with our volunteers. Well…what about the leader of the Camp, one might ask. There’s no single leader at Camp Diaries, where everyone involved is a leader. Surprising, is it? Well, that’s exactly how Camp Diaries functions. With neither a palpable leadership nor the authority of a group of individuals imposing rules, any volunteer can take up ownership and be the leader. “At Camp Diaries, we let our volunteers guide us. There is no hierarchy of any kind in general, except on the day of the camp, where it is much intended. 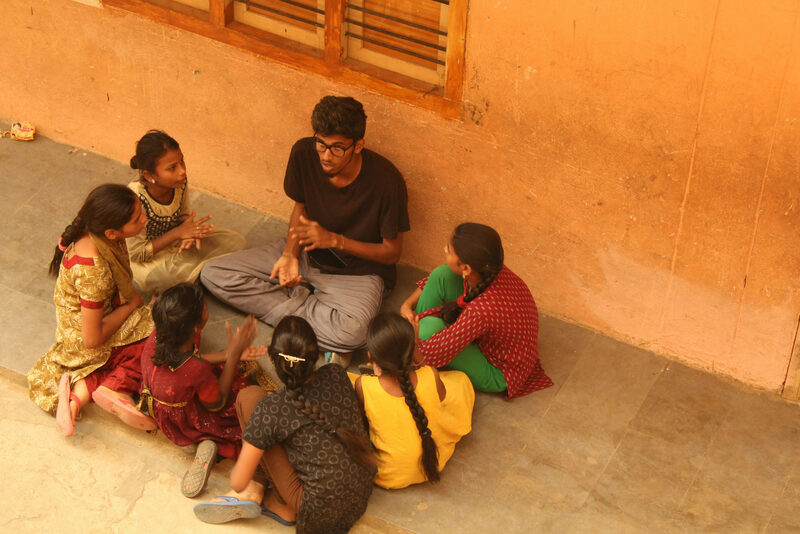 On any given day, any volunteer can walk up to us and take over as the leader of any specific activity or even the entire camp as we support him/her and provide proper mentor-ship until they feel confident,” says Milind Chandwani, founder of Camp Diaries and a Teach for India (TFI) fellow. 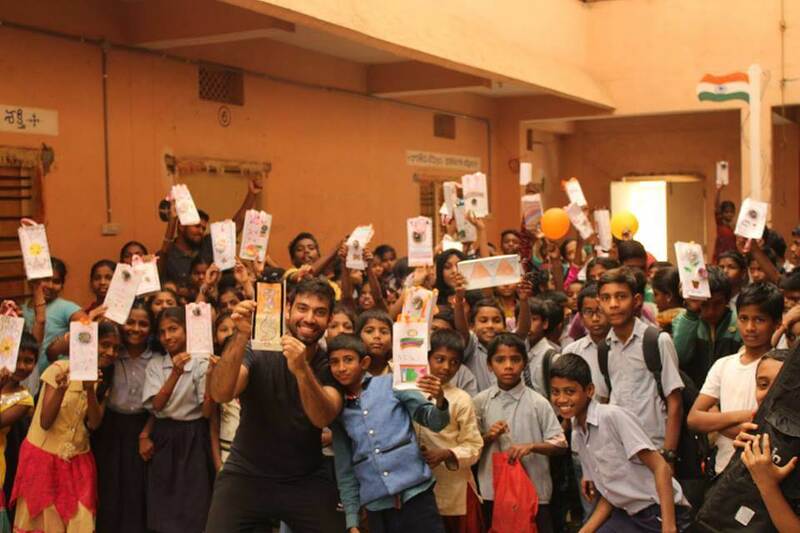 With the initiative expanding across India ever so quickly, Milind feels that building leadership for both the volunteers and even the underprivileged children is crucial to set out on their own social ventures. 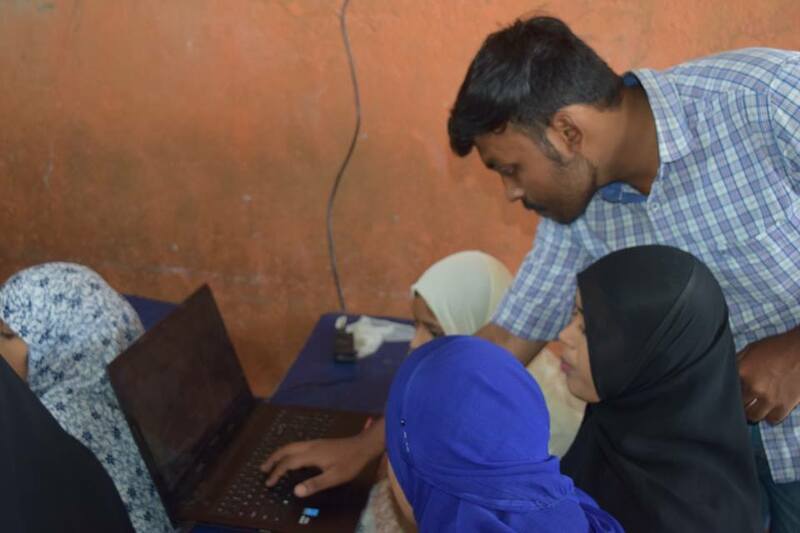 Equipped with the ability to transform the lives of these children at the camps, these volunteers can then touch the lives of all those underprivileged children whom Milind and the relatively fewer TFI fellows wouldn’t be able to impact to this level due to lack to time and resources. 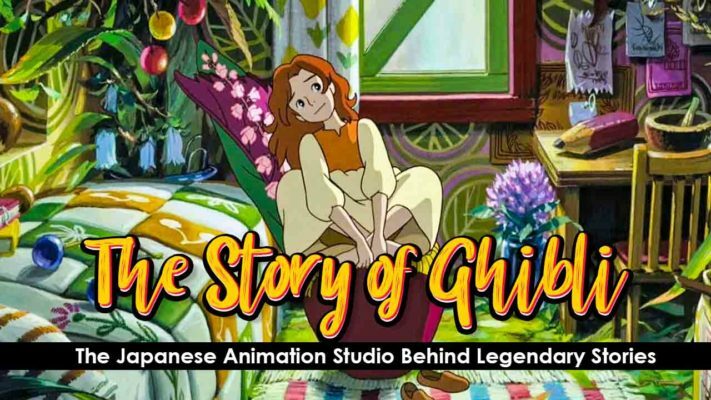 20-year-old Dinesh Chandra, a third-year Animation student in Hyderabad, for instance, is more than your average youngster. He joined Camp Diaries as a Dance volunteer in January 2017 and has since then taken up a host of other responsibilities. He has designed and printed the posters and banners, has created the official website of Camp Diaries and manages it too, along with other online work. He has also taken care of every other logistical detail on the field and has even led an entire event of Camp Diaries! 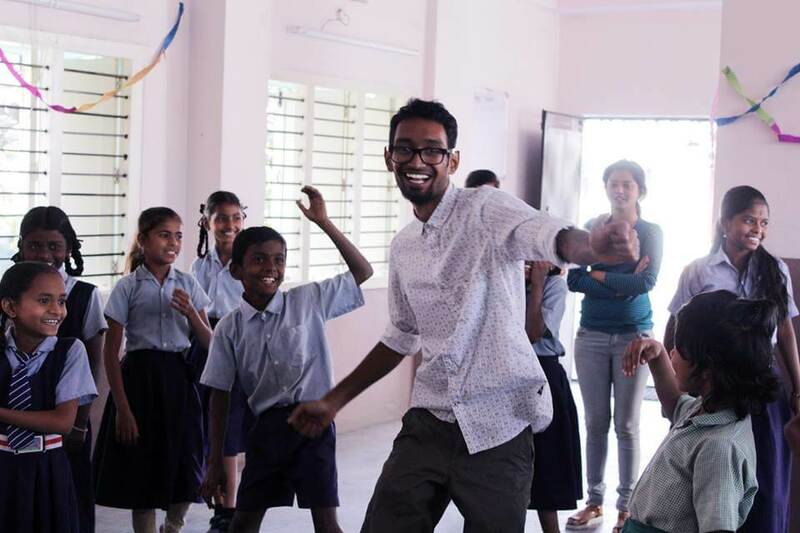 His passion for dance still persists as he teaches the children the art he loves and now, after being involved for just a few months, he leads the city’s camps with two other devoted volunteers, Vivek and Aparajita. This is the story of just a single volunteer from the city of Hyderabad while others continue to emerge as leaders and heroes in their own might across other cities of the country. Where PASSION meets SERVICE, the present and the future of our generation and the one in the making only looks brighter with the potential for empowerment through the empowering of a few. To be able to do justice to all these kids that we hope to impact, we would need more leaders in form of volunteers and more resources! The first basic question that comes to mind when one wants to start an NGO, is the lack of funds. 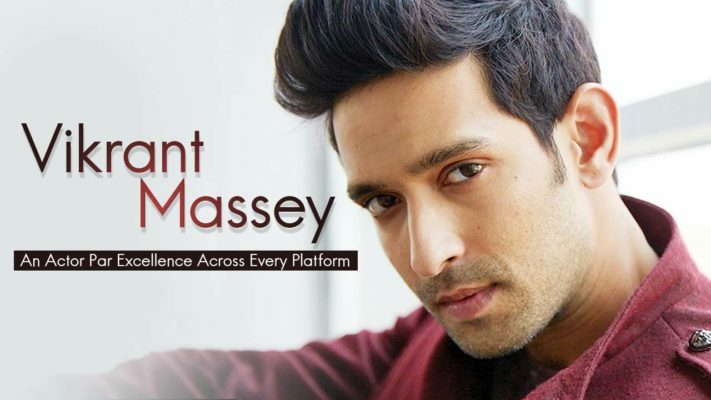 How did you go about ensuring that you had enough resources to cater to the needs of children at every session, and conduct your classes with efficiency.? Well, the first basic question that came to my mind was, “Is it possible? Will people want to join me in the cause?” but then the funds doubt followed right after. Every time volunteers travelled for a camp early in the morning I gained more and more hope. For funds/resources, our near and dear ones were kind enough to believe in the cause (after watching our videos and pictures) and send enough funds and resources our way to get us started. But, as we grew the need grew. We started putting up stalls (art and craft made by the kids, lemonade and chocolate truffles) at various Flea markets and college fests to make profits. We keep applying for all the possible grants and are yet to hear from some of them. Lastly, you’ve been an inspirational organisation bringing about a necessary change within the city. We’re curious as to what the future plans of the organisation are? Where do you wish to reach in the next say 5 years perhaps? And also we’ve read that the organisation might be expanding to other cities like Chennai and Bangalore. Could you elaborate on that? 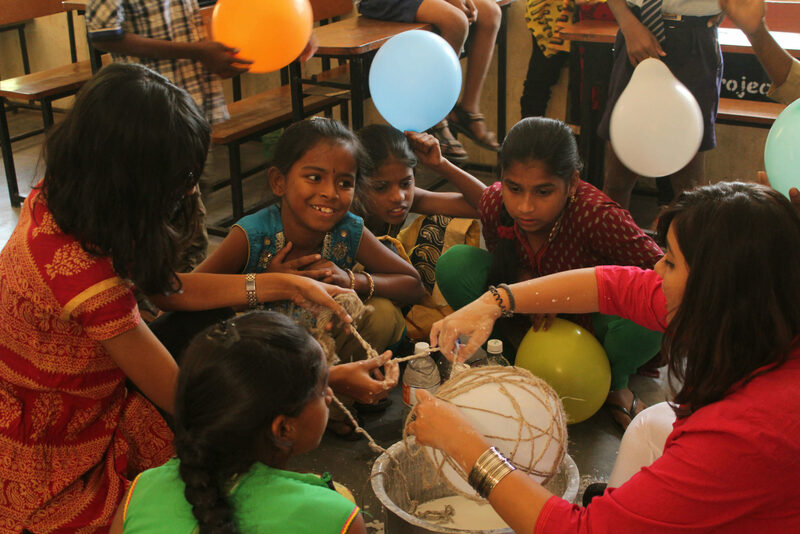 Number of kids we wish to impact in Hyderabad, Bangalore and Chennai this year – 5000 total. We consider our job done when we make a child become more confident in expressing themselves, excel at studies, overcome their fears, become open minded individuals and feel accomplished. So far, we’ve seen kids (900+ kids) come out of their shell and pursue their passions to go ahead and participate in various events and competitions, and even win prizes. 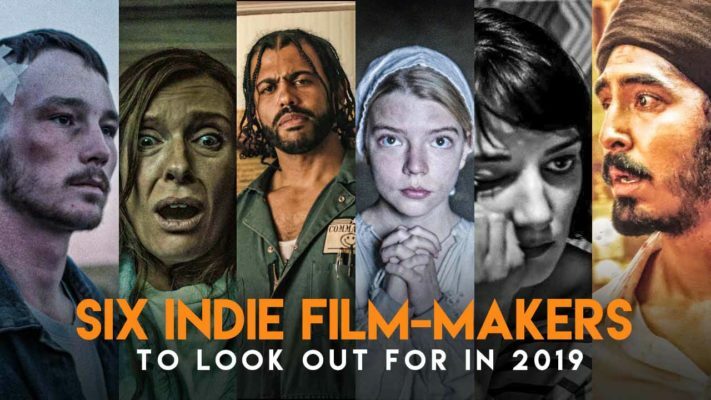 We’ve been recognised by various forms of media (Newspapers, Radio, and Social media). We’ve seen the camps impacting the values and academic performances as well due to the holistic development of the children we work with. By the end of 2017 we aspire to complete Level 3 camps for almost 5000 kids in Hyderabad, Bangalore and Chennai, making them proficient in the 3 activities chosen by them. And then we wish to provide professional training to almost 500 selected kids in all the activities. We also hope to train over 100 volunteers to become self-defence trainers and train over 10000 women in Hyderabad. In the next two years, we would’ve spread to another 4-7 cities and in the process, cover another 15000+ children. And for self-defence we wish to expand to all our camp cities and cover more than 1 lakh women by 2018. We would also be training almost 2000 selected kids from each activity professionally after completion of Level 3 camps and then enable them to participate and excel in various school, college, city, state and national events/competitions. 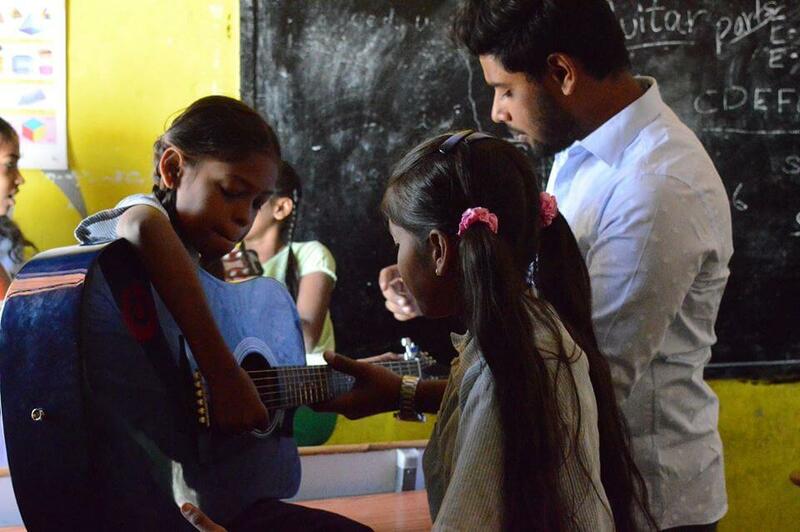 In the next 5 years, we wish to expand our horizon to an extent that every underprivileged child in the 20+ cities and villages that we would be in should be more confident, creative and passionate. We aspire to train over 10 lakh, women of the cities, we enter in Self- Defence and we hope to see some significant change in the crime rate of those areas. So that was Camp Diaries talking about their initiative in bringing about a workable change to the world we live. If you think, you could be a part of this flourishing change, then do visit the Facebook page to get in touch and start off right away..! !